Dog doors for pets this size face some unique challenges; a traditional flap door can’t stand up to the power produced by a 220 pound dog hitting it at full speed. 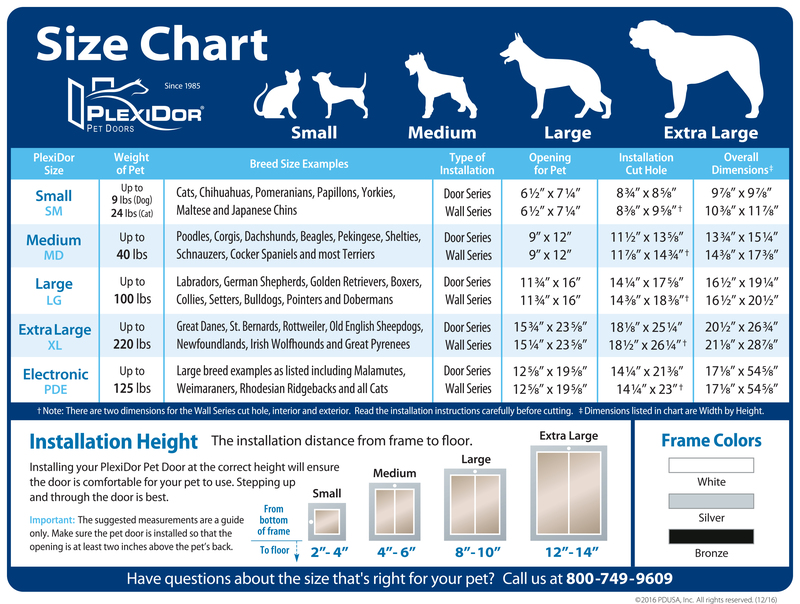 Many dog owners who tried to use flap doors ended up with torn flaps, warped frames, and even pet door frames torn right out of the household door. 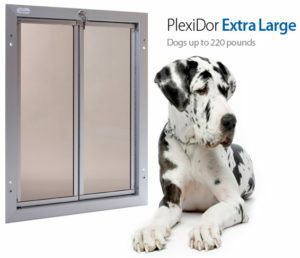 The PlexiDor XL is constructed to take the beating of very large dogs running in and out all day long – and still opens so easily that a smaller pet can use the same door. 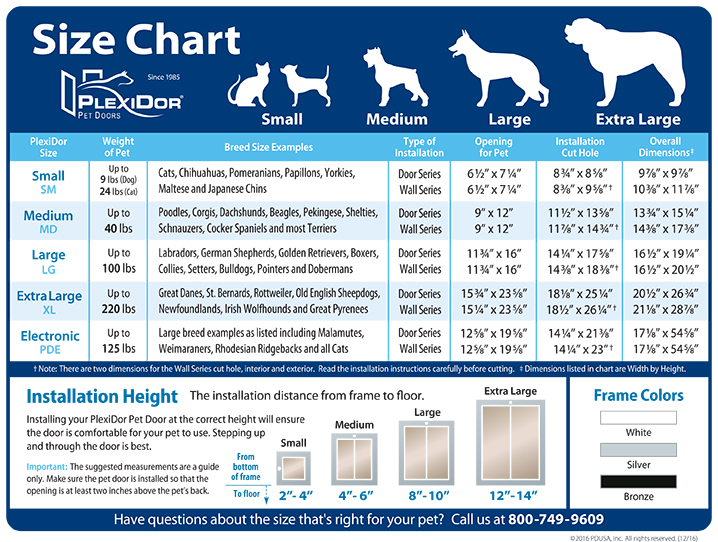 The opening size is 16″ x 23 3/4″ and the door is usually mounted 12″-14″ above the floor. The top of the opening should be just above the dog’s back.